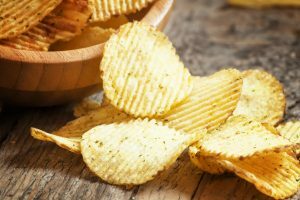 Your food cravings have a hidden agenda, and all that mindless munching may be telling you something about the emotions you are (literally) stuffing. 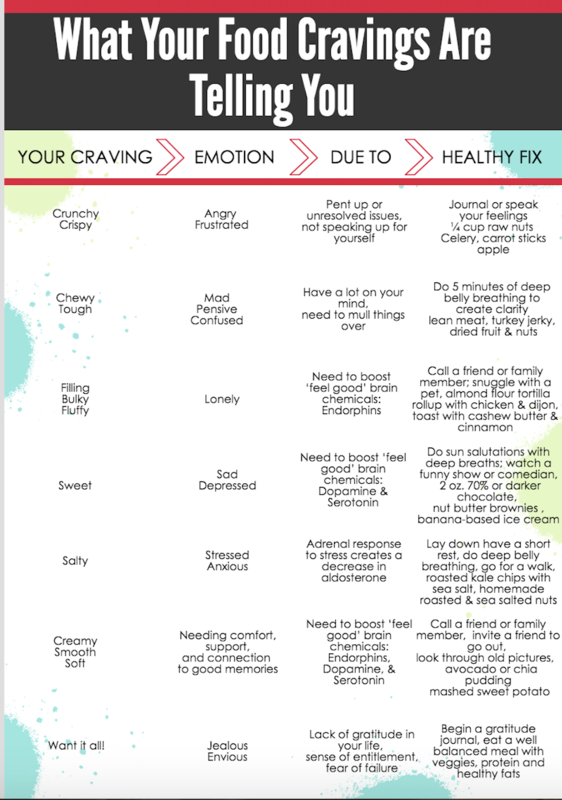 Most of the time, food cravings are tied solely to emotional stressors, but they can also indicate a true physical need for specific nutrients. Knowing the difference is where we tend to get tripped up. Identify the emotion, feel it, face it, and release it. Often you realize you are not physically hungry and would be more satisfied with a nap, a good cry, a chat with a friend, a walk outside, or a hearty laugh. Tap into what your cravings say about nutrient requirements in conjunction with true physical hunger. If you are overly stressed your organs will be crying out for nutrients to regain hormonal and biochemical balance — there are plenty of delicious, healthy options to fuel your body. Taking time to address your cravings on these two levels allows you to either say, “No, thank you” to food and yes to something else (like rest, movement, or calling a loved one) OR to enjoy the right kind of foods you’re craving in proper portions. Take time to get to know your cravings and identify what your body is telling you so you can end your battle with food and live your life with full presence, and in tune with all of your needs. Most of us know there are a number of different mechanisms that negatively affect our mental state and trigger food cravings — lack of quality sleep, too much stress for too long, and exposure to foods devoid of nutrients all play a role in us turning to mind-numbing eating habits.